A snow covered ridge of Mt. 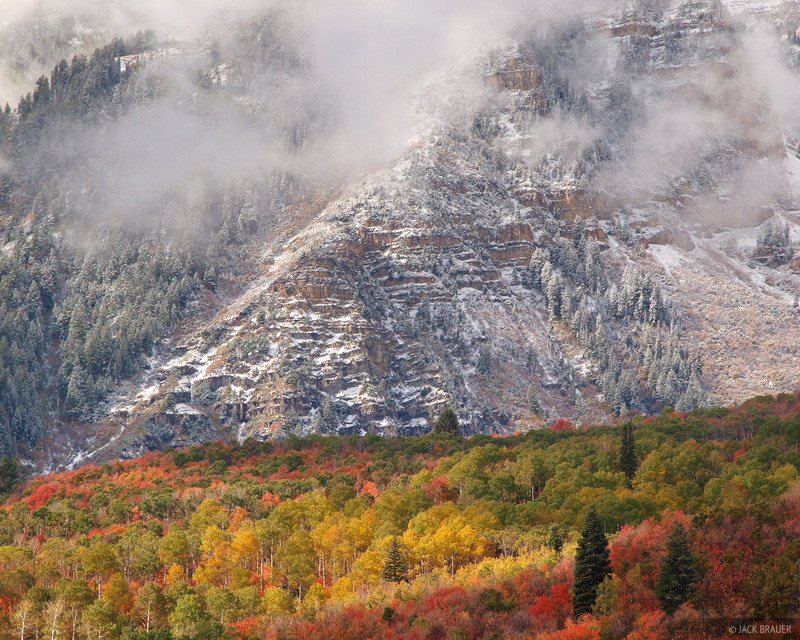 Timpanogos rises above a colorful autumn forest near Sundance, Utah - October. Photo © copyright by Jack Brauer.